(You can identify your caliper type, if you take out the brake pads and look at the pistons you'll see they are surrounded by a rubber ring. If that rubber ring is held in place by a metal clip then these won't suit, also you can see in the photos the rubber ring I'm pointing to is quite thick). 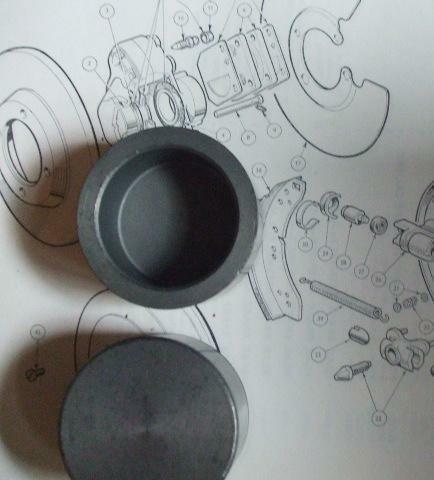 You get a pair of Pistons here which is enough pistons to repair x1 caliper, quite easy to fit as well! Please change the quantity to x2 if you want to replace the Pistons for both Calipers. The Background picture shows a caliper with the Bellows Type Seal to help you identify your caliper type.